Flashlights are essential tools every person must have. Typical flashlights are too large to bring with you. What if you have something small but could emit amazing light at the same time? This is where keychain flashlights come into the picture. 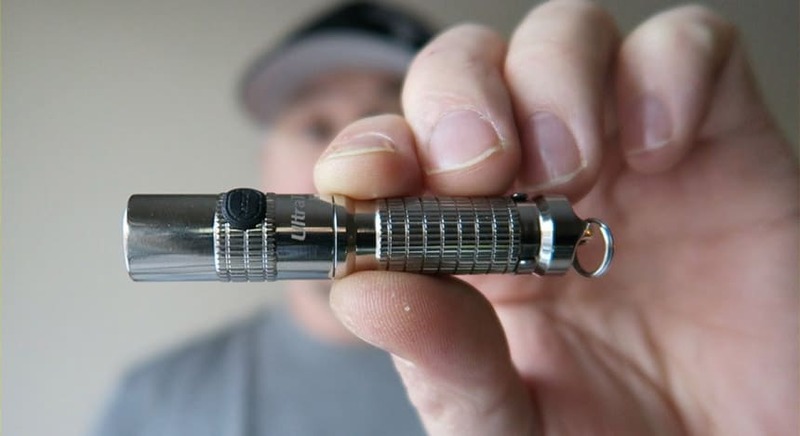 With that, I have reviewed the best keychain flashlights in this article. 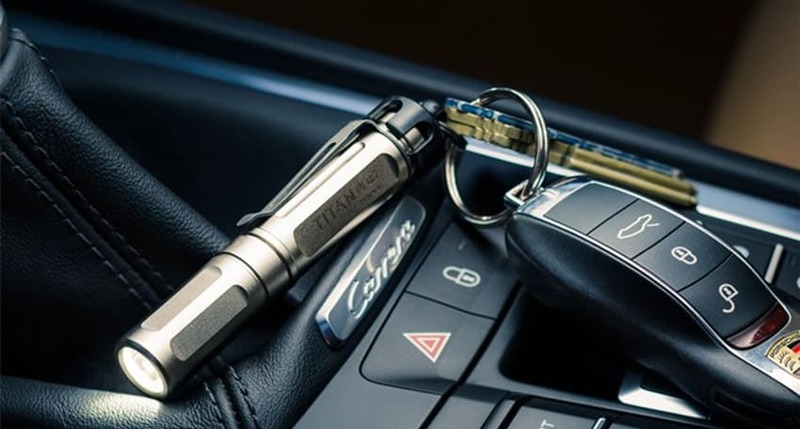 So here are the best keychain flashlights you’d surely want to check out. Titan Plus is surely one of my personal favorites because of its sleek appearance and overall performance. First off is its durable construction. The impact resistance of this flashlight is not a joke. It will still function even if you accidentally drop it thanks to the sturdy nickel plate and brass body. I also like how the metallic external adds to the cool appearance of the flashlight. It feels nice to hold it whenever I fish it out. The cylindrical flashlight has three light outputs you can change amicably through the rotating head you could twist counterclockwise. Aside from that, the flood beam of this keychain flashlight allows you to see a wide span of area (up to 66 meters) for a closer look. Thanks to the MaxVision technology that makes it possible. The Titan Plus package includes a rechargeable NiMH battery of AAA size. However, it doesn’t include a battery charger. Be wary of using the highest maximum light output, though, you don’t want your backup flashlight dying on you at crucial situations. That’s because the 300 lumens’ runtime will only last for about an hour and it would be unfortunate if you don’t have a charger or any extra with you. Lastly, the Titan Plus is a little bigger than its predecessor, Titan, so you may find it heavier. Titan Plus has a removable pocket clip. The metal clip makes carrying the flashlight more secure. But if you don’t want that, you can remove it and the small eyelet on one end of the flashlight is enough to attach to your keychain. ThruNite Ti3 is one of the items under Ti series. I find this one to be the best flashlight in its price range; you can have a reliable flashlight at such low price. Perfect as a backup light when you have nothing, the aluminum external quality is durable and waterproof enough that it can still function even if the flashlight’s been submerged. 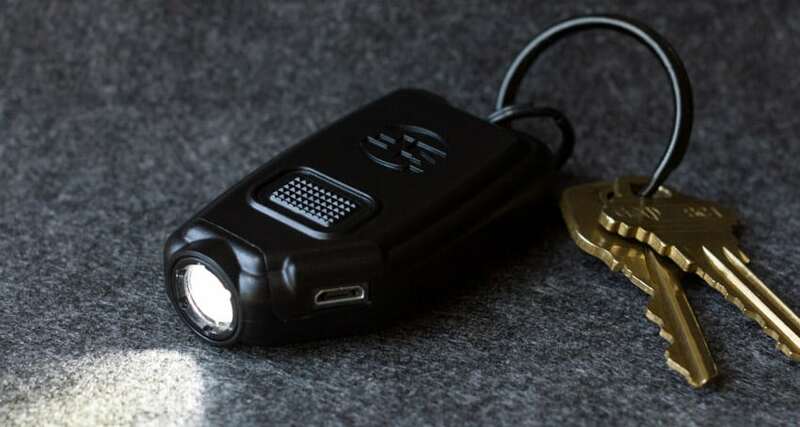 The keychain flashlight can withstand being underwater within 2 meters deep. The LED used is Cree XP-G2 R5 that you can access depending on the brightness setting. You can switch between four modes using the rotating head. Since it’s low-priced, you can’t expect its beam to be at par with others in the higher range. In changing the brightness modes, twisting the head is in order. Thanks to the memory function feature of Ti3, you don’t always need to start with Firefly mode if you change the settings within 10 seconds. There’s a hidden strobe function you can conveniently access after you changed the brightness for six times. One downside of this flashlight is its low runtime especially when you maximize the 120 lumens. 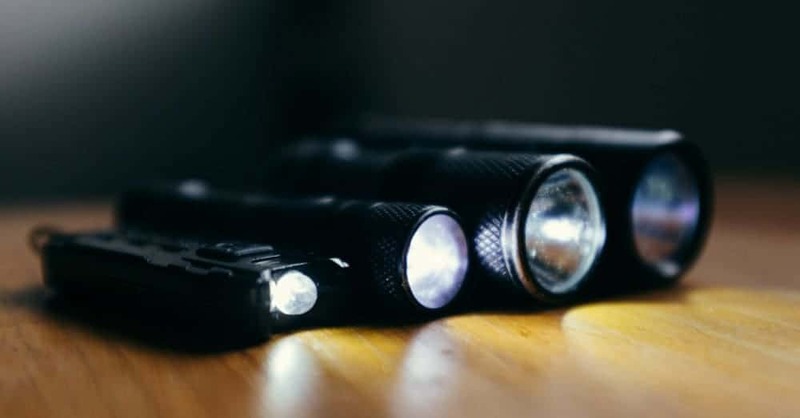 Successive turns of lighting the flashlight up in that setting could be at your disadvantage especially if you will later need the flashlight in unusual situations. So I highly suggest always to have an extra with you. You can easily attach your Ti3 in your keychain ring through its clip. Its weight will not strain the keychain especially if you have your car key on it. It’s also equipped with a detachable metal clip for additional security when you clip it in your pocket. SureFire Sidekick isn’t just your normal keychain flashlight. Not cylindrical but rather rectangular, this polymer-bodied keychain flashlight can light up your surrounding at astonishingly 300 lumens (maximum). Thanks to the MaxVision technology, the faceted reflector produces broad light reaching up to 50 meters. There are three brightness settings to choose from at just a click of a button. The brightness setting is arranged from low to high. But you can reverse the sequence from high to low. Just plug it in into a power source and press the button three times. After 5 seconds or so, turn off and unplug the flashlight. The most exciting feature of the SureFire SideKick you’ll surely like is the rechargeable battery. 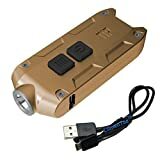 Unlike other flashlights wherein you must insert an extra, or remove the battery first from the unit to recharge it, you can charge this keychain flashlight directly through a micro USB port! You’ve read it right; just like how you charge your smartphone. This feature makes the flashlight always ready because when you have a smartphone, you also have a power bank with you. One downside of the built-in battery is it can make the entire flashlight dysfunctional when it dries up. Not to mention the limited one-year only warranty, the flashlight would be useless if something unfortunate happens to the battery after the warranty period. However, it’s a guarantee Li-ion battery is long-lasting, and you can enjoy using the flashlight for the next seven years. The flashlight goes into a beacon mode that flashes while you are charging it; this can be annoying sometimes if you will be charging it beside you at night time. But it could be helpful when you want to find your charging flashlight in the dark. The external body is the main reason why it’s very compact to bring anywhere you go. It has an additional feature of being weather resistant. There’s also a metal clip that you can use to attach to your keychain. 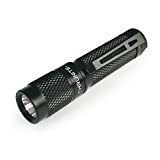 I find this aluminum-bodied flashlight one of the best keychain flashlights you can find. It’s compatible with multiple battery types like rechargeable Li-ion and Alkaline. Depending on the type you use, the brightness of your beam can significantly improve. The highest power attainable is 360 lumens and could be toggled with three other modes through a side button. There’s also a hidden strobe mode for enhanced lighting. 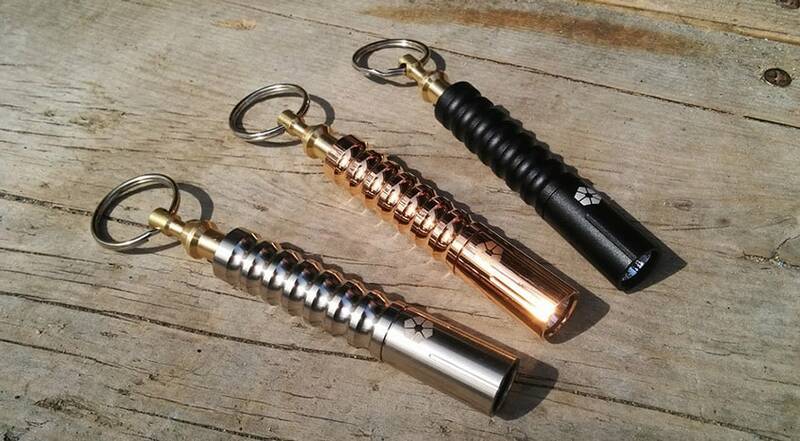 You’ll love how this keychain flashlight is so compact and could be brought just anywhere. The external is made of the aerospace aluminum body that proves to be slip-resistant, waterproof, and impact-resistant. The internal has direct thermal path using copper that aids in better thermal dissipation so this keychain flashlight won’t overheat. 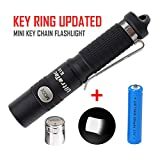 This keychain flashlight is good overall, but you need to watch the battery mode you are using. It’s better to stay at low mode so your battery can last for a longer time before charging. Otherwise, you would be draining light faster than anticipated. One extra feature is the detachable metal clip that can help you attach the flashlight to your head as a headlamp or securely carry it inside your pocket. Instead of a ring, you get a carabiner clip that you can easily attach to your keychain. I also find the Nitecore TIP flashlight one of the best choices for a portable keychain flashlight. I salute the outer material made of polycarbonate. It is so robust that it can withstand 77 lbs. of weight! It also has an impact resistance of up to 1.5 meters. Furthermore, it’s water resistant. There are four brightness modes that you can toggle with a button. Note that; there are two buttons for both on/off and brightness modes. The highest power attainable is 360 lumens; quite high for a battery equipped with rechargeable Li-ion. The memory function is in effect to remember the last brightness mode you had used before you turned the flashlight off. Nitecore TIP uses Precision Digital Optics Technology for the flood beam that can reach up to 74 meters, perfect for lighting up your peripheral vision. Like the SideKick, an exciting feature of this flashlight is you can recharge it directly through a micro-USB port. You can conveniently plug it in your power bank whenever there’s no AC outlet nearby. The flashlight is prevented from overheating thanks to the advanced temperature regulator that automatically stops the flashlight from charging after it’s fully charged, even if it’s still plugged in. Overall, the keychain flashlight is great, but you need to watch out for the battery mode you intend to use. I suggest you stay at low mode so your battery can last for a longer time before you need to charge it. The Nitecore TIP comes in seven different colors to choose from. Also, there’s a metallic key ring so that you can easily loop it in your keychain. Some flashlights are impractical to carry around because they stick out. The size of conventional flashlights makes it not ideal to be brought anywhere. They could be a handful compared to smaller ones like keychain flashlights. The main advantage of a keychain flashlight is it’s compact. You can hang one through the eyelet found on your bag or just attach one to the key ring. Owners hardly forget keys, so attaching a flashlight to your keychain will also make it available whenever your keys are. This will be of great help when you get stuck in a dark place. To put it simply, you can attach the mini flashlight anywhere on your body so it goes with you wherever! Aside from being compact, another advantage of mini flashlights is less weight. All keychain flashlights are lightweight because of their small size; so small that you can actually wrap one entirely with your palm. The idea behind the keychain flashlight is the smaller it is, the better. 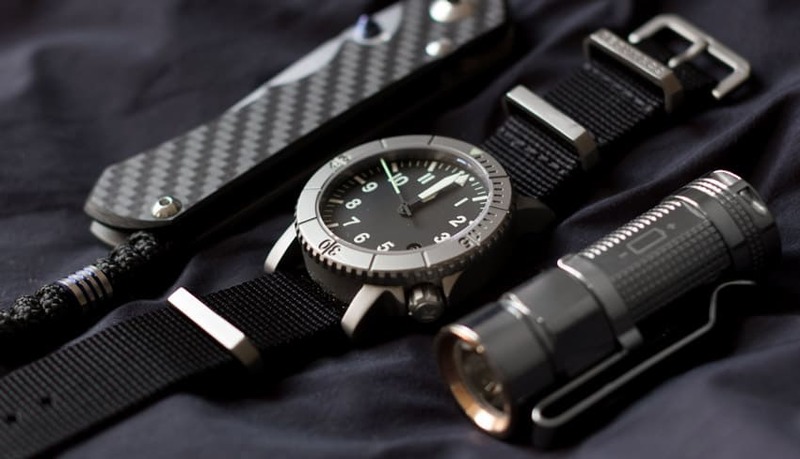 Tactical flashlights, torch flashlights, and other full-size models tend to be more expensive than mini flashlights. But there are cases that keychain flashlights could be costly too. This applies, particularly for branded models. Picking a keychain flashlight is easy, but choosing the right one with good quality takes multiple factors to consider. Since you will need a small flashlight, expect the battery to be small too. The batteries that should be used to power up the light source should also be long-lasting. Another thing to consider is if you should have disposable or rechargeable batteries. The latter could be expensive at first purchase but could save you from buying new ones in the long run. The common battery types that are used in keychain flashlights are AAA or button cell batteries common on wristwatches. Most flashlights that are used today have LED bulbs for the reason that it’s the best out there compared to incandescent bulbs. It’s the best choice regarding battery life, energy efficiency, brightness, etc. The beam style used on the keychain flashlight is determined depending on the reflector used. The metallic reflector cone around the LED shows either spot beam or flood beam. The spot beam is best for lighting on a small area at a far distance. The beam is narrow and focuses on one straight path. In a general sense, spot beams on many flashlights are used in search and rescue, utility work fixing the electric line, etc. Flood beam is the opposite of spot beam; the beam path focuses on a wide area because the light produced is cone-shaped. This allows you to see a large area at the same time without moving the flashlight. Flood beams have little to no reflectors, and that’s why the light can spread out. In a general sense, the flood beam is used for walking, home repair, reading, etc. The adjustable beam is common in most LED flashlights with two beams which are spot and flood, available in just a single flashlight. The brightness of the flashlight is measured in lumens. The greater the measurement, the greater is the brightness power and the distance it can reach. The light output of the flashlight is affected by the battery life and the runtime. The runtime is the measurement in hours that it takes for the light output to drop 10% from the original light output. The runtime is exclusively available on flashlights that have multiple brightness settings. Considering that the keychain flashlight is small, it is unavoidable that it may fall out of your hands. The flashlight should be able to withstand the impact and should be able to function properly. The material used for the external body of the flashlight affects the impact resistance. In choosing the best keychain flashlight, I recommend you to focus on two primary factors: size and portability. There are also other considerations, but the weight and compactness are what makes a mini flashlight. When you have the right light, you make yourself prepared even at the worst situations when the surrounding areas are dark.